Reservations: Yes, if you want to sit at a table. Parking: Only street parking if you can find it, or nearby paid lots. People who adore live entertainment with a fun twist are sure to dig Bar 9. 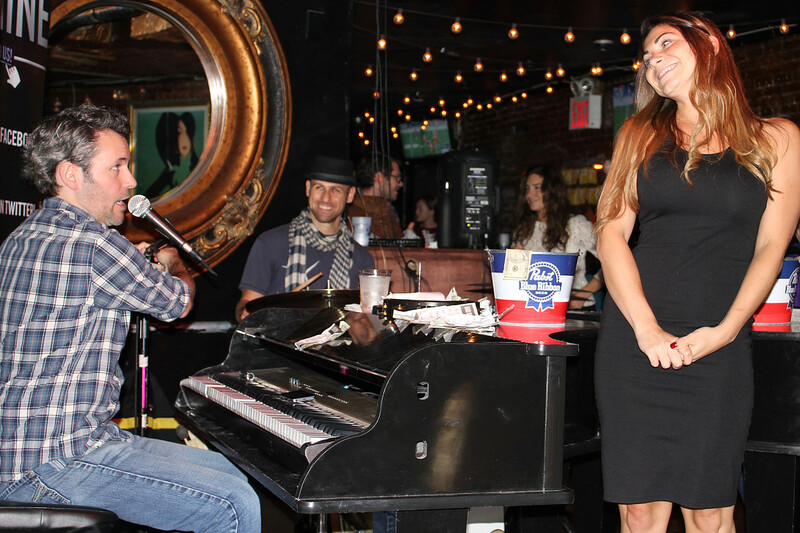 And every weekend from Thursday through Saturday, this NYC bar hosts dueling pianos. 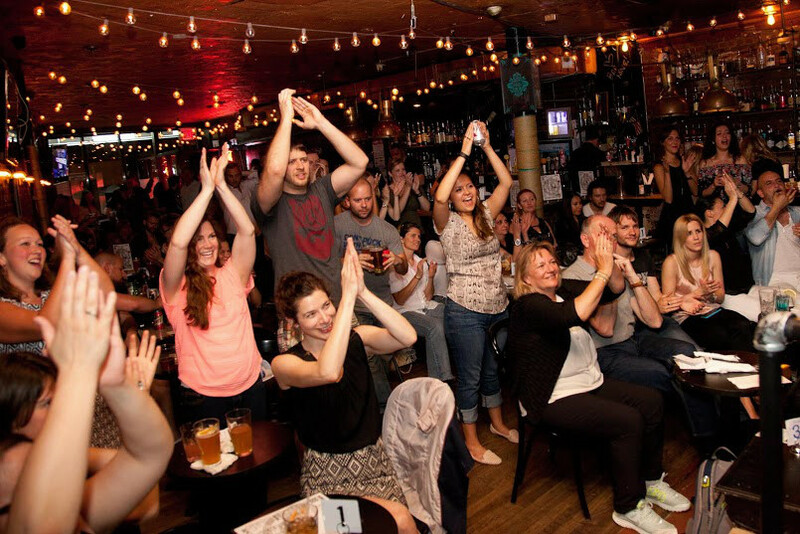 This is one of the few dueling piano shows (in fact, one of the few live entertainment clubs in NYC) that do not charge a cover, even on Saturday nights. However, if you want to sit at a table then they do charge for the seat, but there's standing room and bar seats if you just show up. Bar 9 is a divey neighborhood joint a couple blocks from the theater district. 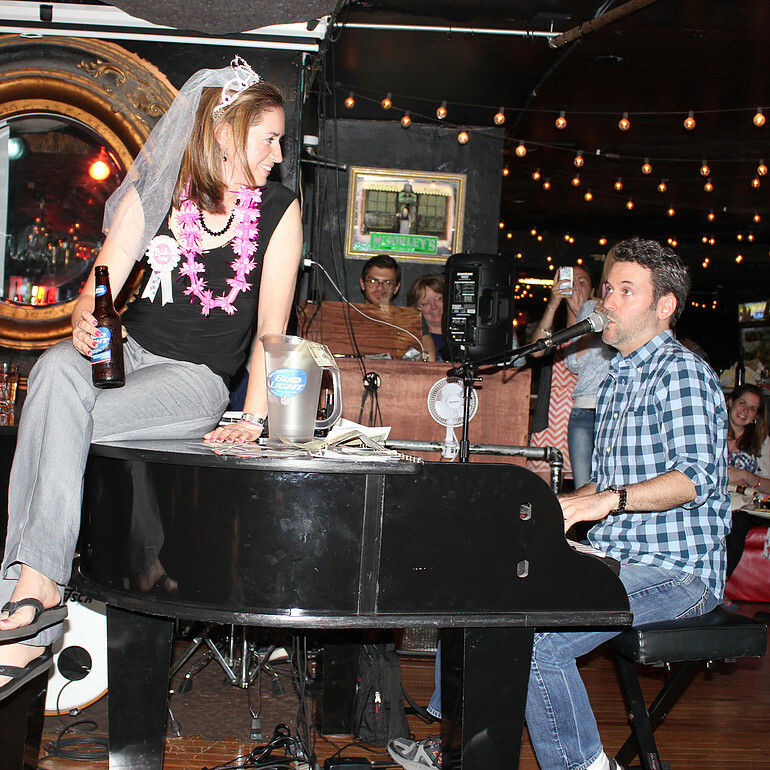 This bar attracts lots of 20-somethings, but the dueling piano nights seem to have lots of 30's and 40-somethings too. Despite the tight quarters, we love the fact that this club has squeezed in 2 miniature grand pianos, and a real drum set. Throughout the first half of 2016, Bar 9 was dealing with a noise ordinance that requires the live entertainment to end at 11pm. We just heard that as of the end of June they got a waiver and can continue the live music until midnight. Shows begin between 8pm and 9pm depending on the night, and if you've reserved a table you want to arrive 30 minutes before showtime. The do have quick bits and munchies throughout the night, and wait service for tables.